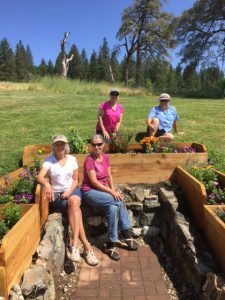 Our forward tee boxes on Hole #9 are looking a lot more colorful this summer – thanks to the work of some of our member volunteers. 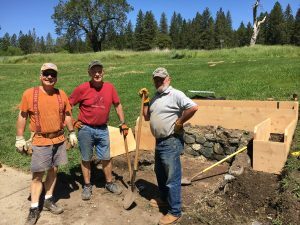 Gary Deardorff cut & milled & donated the lumber necessary to make the boxes, and installed them along with Louie Slayton & Bill Roach. 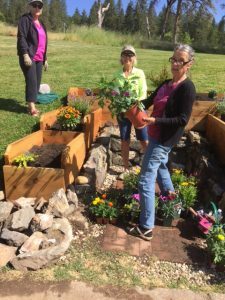 Then our Ladies Club donated the flowers, and Jane Parson, Sandy Pack, Natalie Atkinson & Sandy Hansen planted them.